Hair Bows can be such a mess in our house – especially a home with two young girls. This weekend I took a picture frame (no class or backing) and added some ribbon in 5 straight lines to the window of the frame. I simply hot glued the ribbon. I added all my girl’s hair bows. It makes not only for a great organizational tool, but a pretty look on your wall. 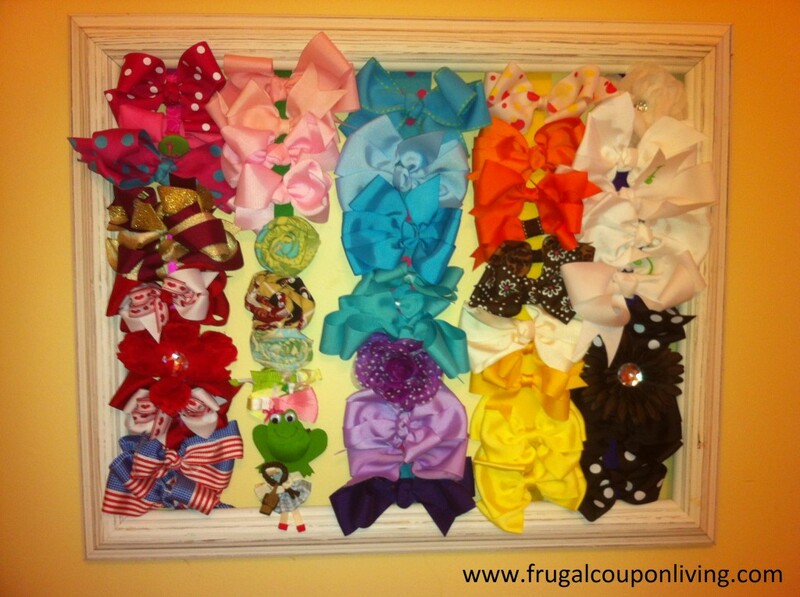 If you don’t have a little girl, these bows make precious little gifts and would save some momma a lot of money. So take a look before you pass the concept. Note: Sorry for the length…video was made a few years ago.